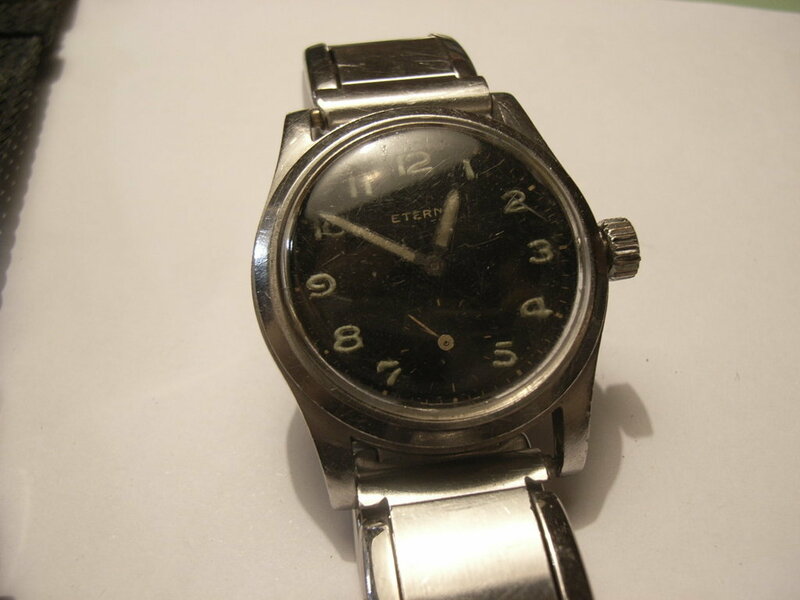 I got this vintage Eterna watch from a fleamarket. 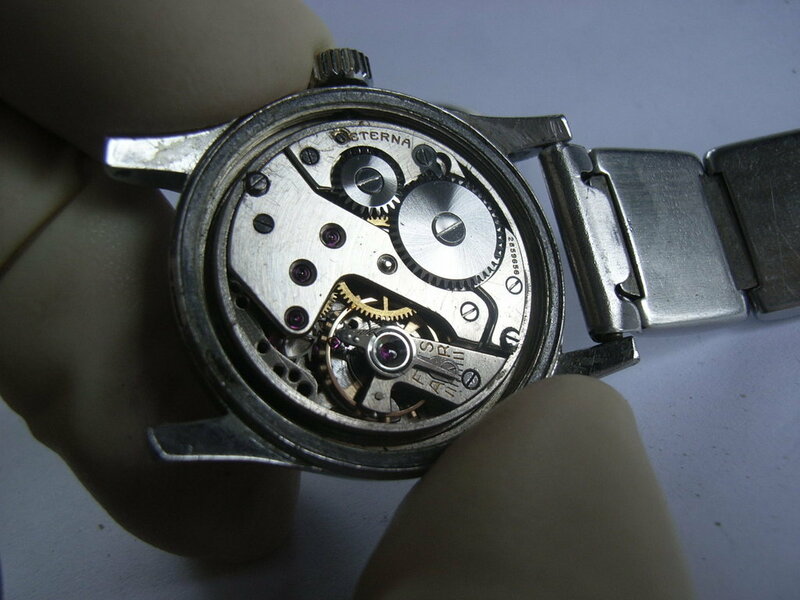 The movement is an Eterna 845 or Eterna 905E, according to this list and the number engraved on its movement, it must have been produced between 1940 and 1941. The watch has one major drawback, though. It is highly radioactive due to its self-luminous paint which contains radium (Ra226, half-life: 1622 years). 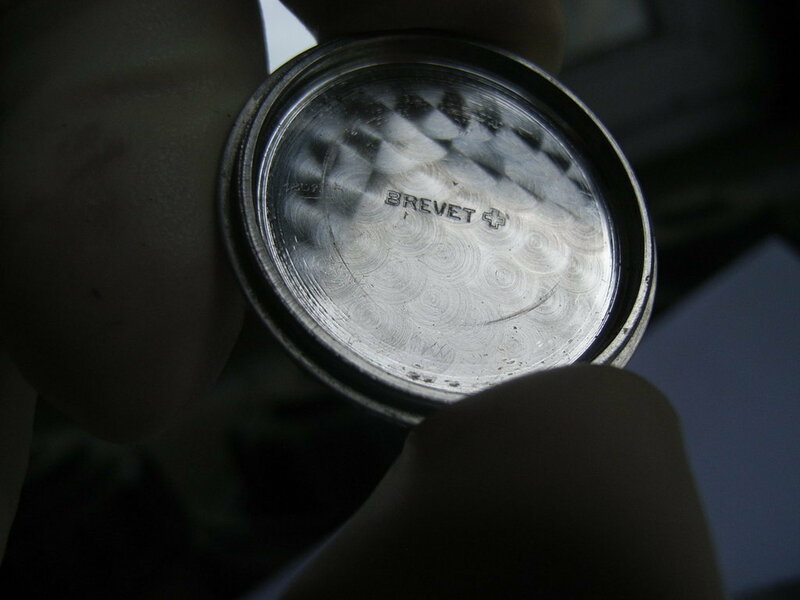 Radioactivity out of watches? Yes, indeed - and it is dangerous, too. I recommend reading the sad story of the so-called Radium Girls. Therefore, I decided to NOT repair this watch and keep it in a safe place.